About a month ago, Rick Hose with Keep Irving Beautiful invited me to join in a cleanup effort of the Elm Fork of the Trinity River on March 2. 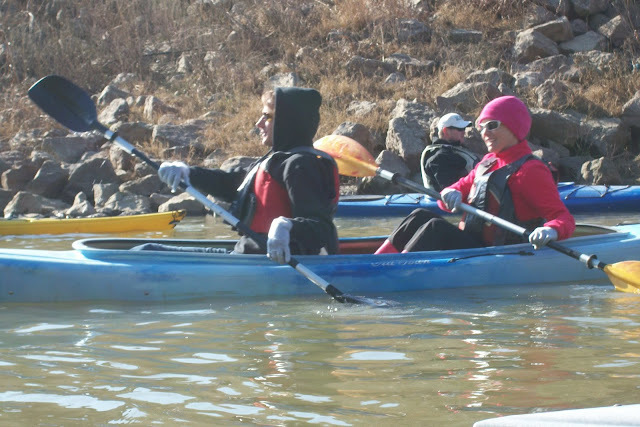 So that means boats, specifically, kayaks. See, TPG and I like to do cool and different things. We also respect the earth and do our part to be responsible stewards. So this was right up our alley. We had a damn good time. 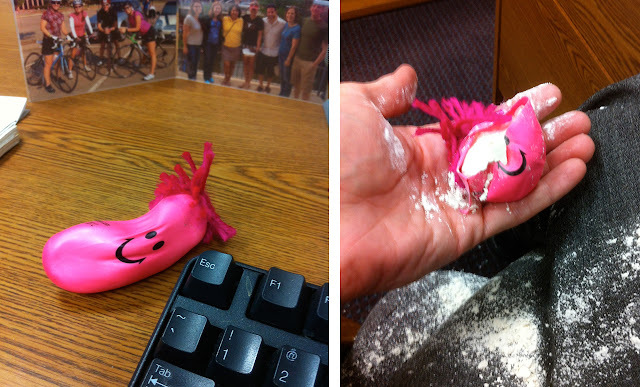 Just the other day I got a stress ball. It lasted exactly one day. Good thing I am starting a three-day weekend. I am looking forward to running my first trail half-marathon (Crazy Desert) in one of my old "homes," San Angelo. There will be biking and camping, and catching up with friends, too. Most likely plenty of blog fodder. That's the bike I bought. An Orbea Occam 29 H30. I love it, especially the color. 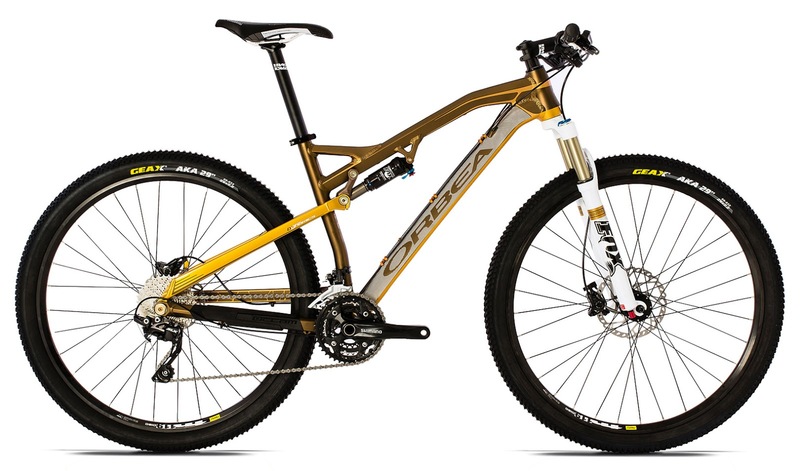 It is reminiscent of my first legit MTB — a Spanish gold Trek 6700. I blogged all about the process of selecting the new sweet ride here, here and here. Right now, I am told it will be another 10 days until my bike arrives. Twice the dudes at Dallas Bikes Works have said I could get the black-frame Occam pronto, and twice I have said, "My bike is brown and gold." This wait will be worth it; however, if I hear "two more weeks again," I may consider another option. This delay could drag on for much longer. Who knows. I sure hope it doesn't. Races are coming up, and my training is getting started. Speaking of training, I went for my first night ride with the ultra-bright Gemini Duo light kit. 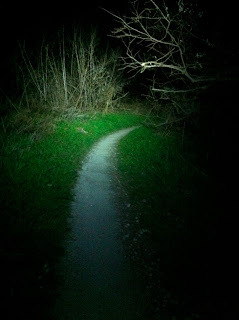 Strapped to my helmet and pulping out only half of its 1400 lumens the trails at Rowlett Creek Preserve glow like daytime. Two petrified rabbits that crossed my beam can attest to the brightness. It's a whole new experience riding the trails at night. It's like you're going twice as fast; and since you can't see much in the periphery, it's not unlike being in a tunnel. It's a strange sensation, but one I dig. I am looking forward to improving my nocturnal bike-handling skills. Holler if you have any tips.